Today is a landmark occasion in the history of my life. Last night, I got to see Mulder & Scully on the big screen for the first time ever, and for the first time period since The X-Files ended in 2002. 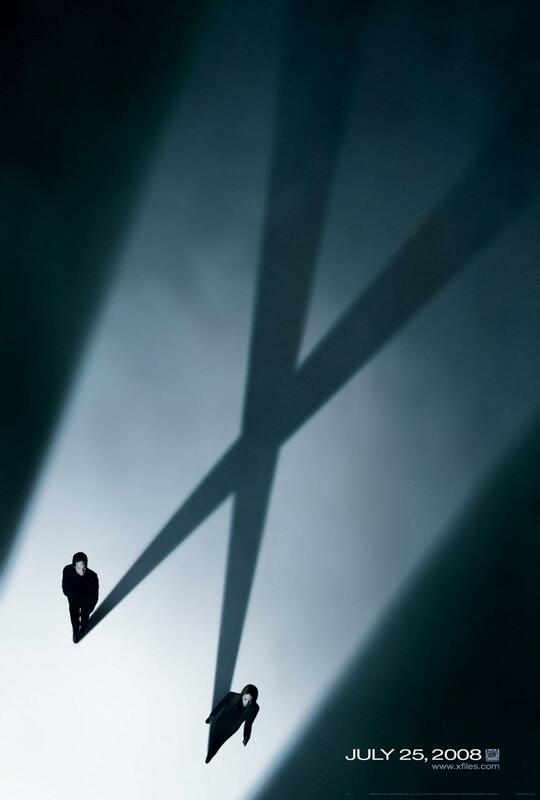 I didn’t become a die-hard X-Phile until after the first movie, Fight the Future, had left theatres. I’d always had the impression of the show as humorless, procedural and, frankly, boring. Of course, I’d never actually seen an episode, so I’m not quite sure where this idea originated. On vacation with my family in Florida and tired of the searing temperatures on the beach, I retreated to the couch in the condo and happened to catch the movie on one of the movie channels. By the time Mulder, after having dragged Scully up on top of the roof, popped a sunflower seed into his mouth and drawled, “What are we doing up here, Scully? It’s hotter than hell,” I was hooked. The dry humor, the themes of faith vs. science, belief vs. logic, the undeniable chemistry between Gillian Anderson and David Duchovny… The show was like heroin to me. Within six months, I’d caught up completely with the previous six seasons and was happily enjoying the seventh. At the height of my X-Philia, I could tell you the name, season and episode number before the opening credits rolled on any episode. I can also tell you what season you’re watching just by Scully’s hairstyle. I am slightly embarrassed to admit that, on my two-week trip to France (my first trip out of the country and without my family), I have no recollection of taking any photos of my family, but I did take with me a screenshot of Mulder & Scully from Fight the Future. Such was the intensity of my love for (some might say “obsession with”) The X-Files. To this day, there is still only one episode I have not seen: Season 9, Episode 15, entitled “Jump the Shark.” There’s a reason I’ve not sought out this episode, and I won’t spoil it for those who don’t know what happens, but I know it’ll be a very sad day when I do finally watch it. I’ll admit my off-the-top-of-my-head knowledge has slipped a bit in the years since the show ended. My love for the series, however, has not. And that’s why I was first in line to see I Want to Believe last night. While I completely acknowledge that it’s not a phenomenal movie, I loved it, and no one can convince me that love is unjustified. That being said, I don’t see there being any way it’s going to overtake The Dark Knight at the box office this weekend. I am hopeful it’ll muster enough momentum to take No. 2, because I would be thrilled to see another big-screen outing for the franchise. The other wide release this week is Step Brothers, which I think will lose out to Mamma Mia! for the No. 3 spot. ← Inspiration, thy name is Roadkill.